Land reclamation for the site of the domestic airport in Sh. 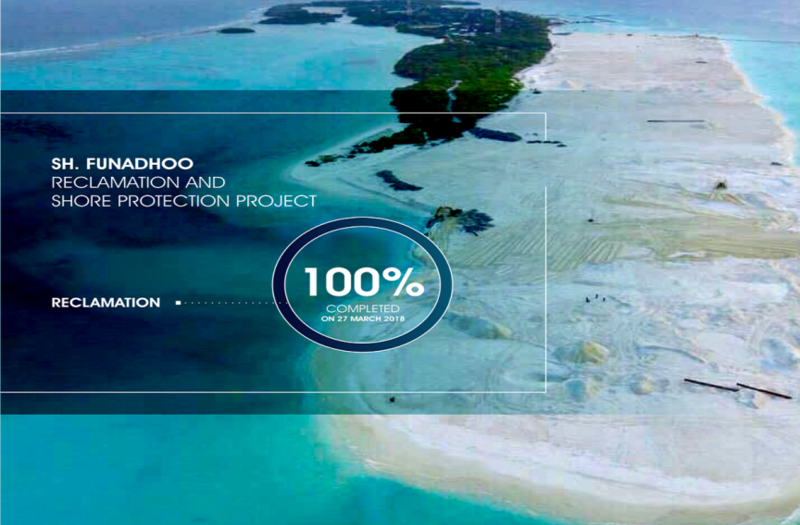 Funadhoo has been completed. Funadhoo Airport Project is a State-funded project. The Maldives Transport and Contracting Company (MTCC) began reclaiming land from the north-west lagoon of Funadhoo for the airport in January, this year. MTCC reports the company has completed reclaiming more than 21 hectors of land for the airport using its new dredger – Mahaa Jarraafu. The company said it now working on levelling the land and using revetment to protect the shoreline. Both the land reclamation and shore protection project and the runway project for Funadhoo Airport has been contracted to MTCC. The MVR 49 million project was contracted to MTCC with the stipulation they complete the project within five months.